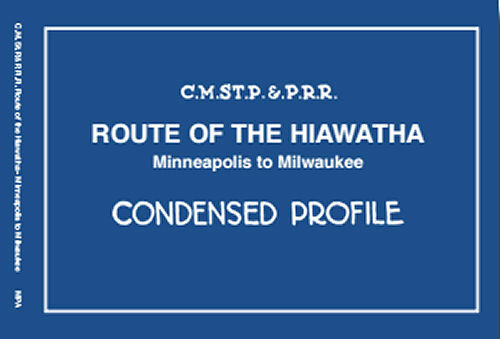 Condensed track profile charts are engineering documents giving mile-by-mile documentation of every aspect of a railroad's right-of-way and track work: track layout, grades, curvature, bridgework, etc. On the Chicago, Millwaukee, St. Paul and Pacific Railroad (The Milwaukee Road) these were company documents issues by division. This profile book charts the Minneapolis - Milwaukee main line and branches in Minnesota and Wisconsin. These documents are scarce and it is the publisher's intent to share this work with others interested in the Milwaukee Road. Soft cover.